Hawthorn’s voice is very authentic. She seems real – a normal girl just trying to escape her own reality by focusing on someone else’s problems. I’ve been there, done that, got the tee shirt. Hawthorn takes responsibility for finding a local missing girl, Lizzie Lovett. However, the further we delve into the story, the more confusing and convoluted the clues become. Hawthorn was interesting, albeit a bit bratty at points, but I wouldn’t lift a pinky finger in agreement with caring about Lizzie Lovett. I found the plot to be bordering on ridiculous. Hawthorn’s sheer unwillingness to give up saved this book for me. I felt as if I couldn’t give up on it because she refused to give up on Lizzie, and that my quitting would be cheating her somehow. Does that make sense? As I said, the plot was pretty bizarre. Lizzie magically disappears, everyone blames boyfriend, Hawthorn randomly takes interest without ever having known anyone involved. Hawthorn sort of runs with it, too. Her theories are wild and completely unbelievable, which only adds to the overall sense of uncertainty that runs rampant in the book. Things don’t add up, clues are missing, and Hawthorn is a borderline stalker more so than an investigator. 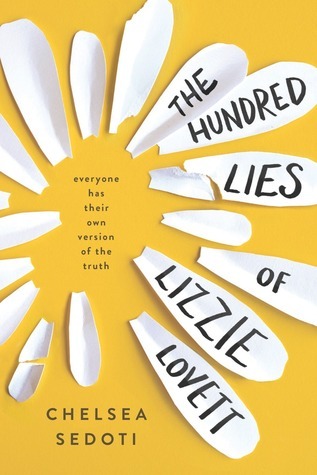 I think The Hundred Lies of Lizzie Lovett doesn’t know what kind of book it wants to be. It has elements of a mystery (duh, with the whole who-dun-it plot), elements of romance, and just enough spice to be a comedy – there are even paranormal elements. The Hundred Lies of Lizzie Lovett took a bite that was just a bit too big to chew and swallow. There is too much going on and not enough focus on the things that matter. The Hundred Lies of Lizzie Lovett was a case of mistaken identity, and it’s not one I’m going to try and solve.